Dine at the property's one-of-a-kind ORO Restaurant & Bar, featuring elevated Southwestern cuisine, or take a stroll to its plentiful nearby attractions, from the sprawling Alamo and its garden, to the San Antonio River Walk featuring restaurants and shops, to the Majestic Theatre, recognized as a National Historic Landmark, now featuring symphony and theater performances. 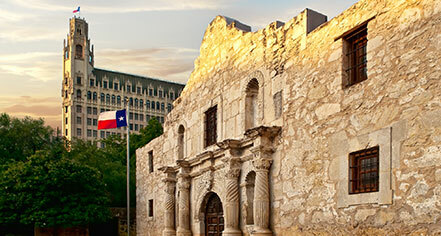 With an endless array of sights to visit, travelers can immerse themselves within the historical Texan atmosphere that surrounds them housed at this 13-story architectural wonder. The Emily Morgan San Antonio, a member of Historic Hotels of America since 2015, dates back to 1924. The property's namesake, Emily Morgan, is said to be the inspiration for the famous ballad "The Yellow Rose of Texas." Cancellation Policy: 72 hours prior to arrival. Early Check-In/Late Check-Out: Early Departure Fee: $50.00. $50 for early departure fee Late Check-Out Fee: $0.00. After 2pm half a day rate. Hotel/Resort Fees & Taxes: Resort Fees: None. Taxes: 16.75%. Parking: Self-parking: Not Available. Valet parking: $35.00+tax/day. Secured: Not Available. Covered: Not Available. In/Out Privileges: Available. Other Parking Information: valet parking only. Payment: All forms of payment are accepted. Payment is required at time of booking. Visa, MasterCard (also MasterCard Canada), Amex, Diners Club, China Union, and Discover are accepted. Pet Policy: Service animals allowed: Yes. Pets allowed: Yes. Maximum size: 50 lbs. A $50 non-refundable pet deposit is required. Rollaways: Available upon request; $20.00/night. Shuttle Service: Complimentary drop off service within a 3 mile radius based on availability. 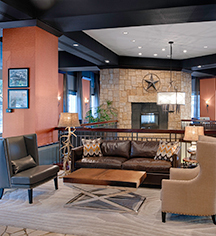 The Emily Morgan San Antonio - a DoubleTree by Hilton Hotel, otherwise known as "The Official Hotel of the Alamo," boasts a congenial atmosphere, classic Gothic architecture, and scenic views of the surrounding downtown landscape. Learn more about the History of The Emily Morgan San Antonio - a DoubleTree by Hilton Hotel .